It’s almost Memorial Day–a holiday honoring those who lost their lives while serving in the armed forces. It is a patriotic day for those in the United States. But Memorial Day has also come to represent the unofficial start of the summer season. 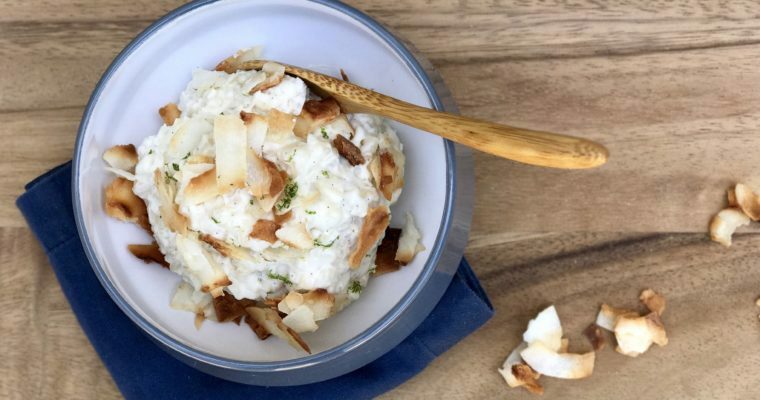 With this you have vacations, family gatherings, camping adventures, pool parties, and BBQ’s often featuring classic American desserts. 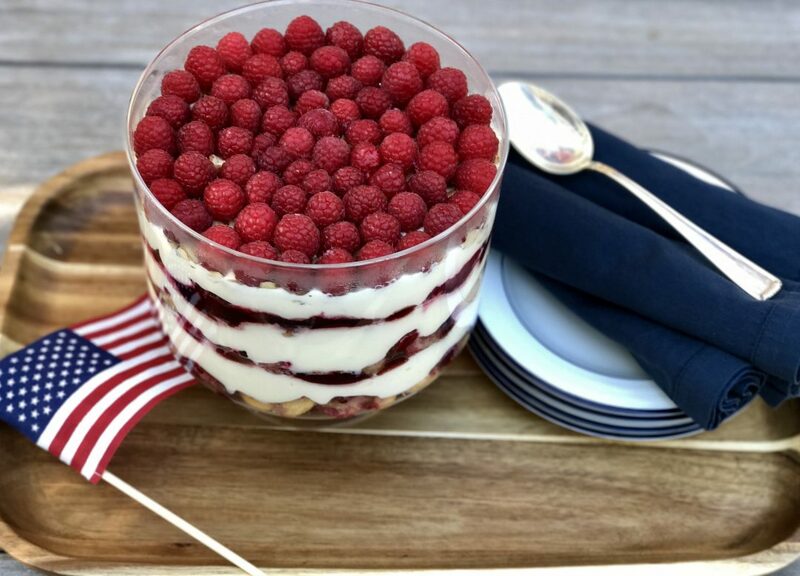 This White Chocolate Raspberry Trifle is easy to make, great for groups, and perfect for a hot day. It pleases adults and kids alike, including those who are dubious about “white” chocolate. 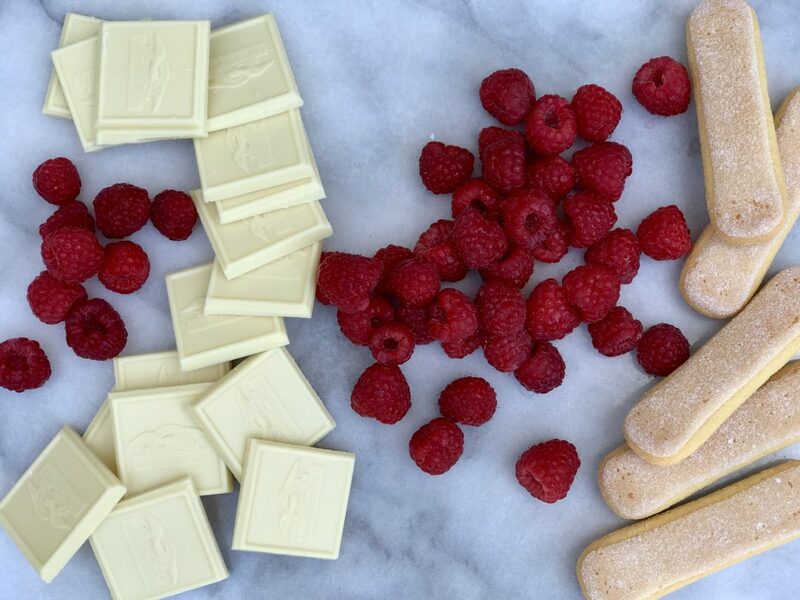 My recipe calls for fresh raspberries, but you can easily use a combination of fresh and frozen if you prefer. Simply use slightly thawed frozen organic raspberries for the layers and fresh ones for making the decorative top. 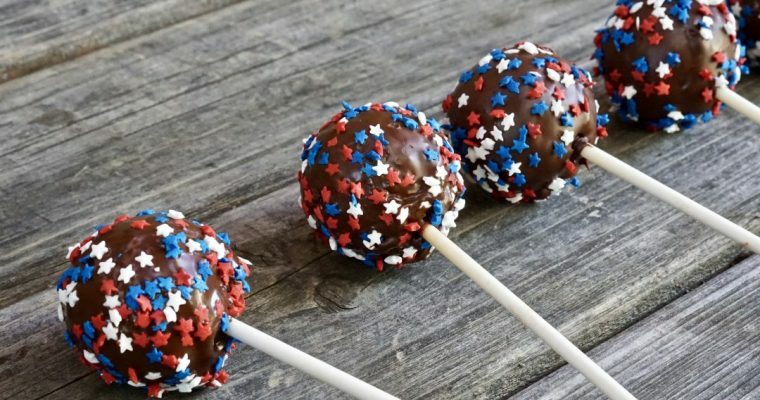 You can also add blueberries to the layers to make it a bit more patriotic if you desire. Step 1 Ideally, you will need a 14-cup trifle dish or something similar. Step 2 In a medium saucepan, bring 1 cup of cream to simmer over low heat. Remove from heat, add the white chocolate and whisk until smooth. Set aside and let cool. Step 4 In a kitchen mixer, such as a KitchenAid fitted with a whisk attachment, beat the remaining 2 1/2 cups cream and the vanilla extract until soft peaks have formed. Be very careful not to over beat or the cream will break. Step 5 Remove the bowl from the mixer and using a large rubber tip spatula, gently fold in the cooled white chocolate mixture. Be very careful not to over mix. Set aside. Step 6 In a small saucepan, heat the sugar and water over medium heat until the sugar dissolves. Remove the syrup from the heat. Step 7 Working quickly, gently submerge 1 ladyfinger at a time in the syrup, wiping off any excess as you go. Place the coated ladyfinger in the bottom of the trifle dish. Repeat with enough ladyfingers to cover bottom of the dish. Step 8 Spread 1/3 of melted jam over the ladyfingers. 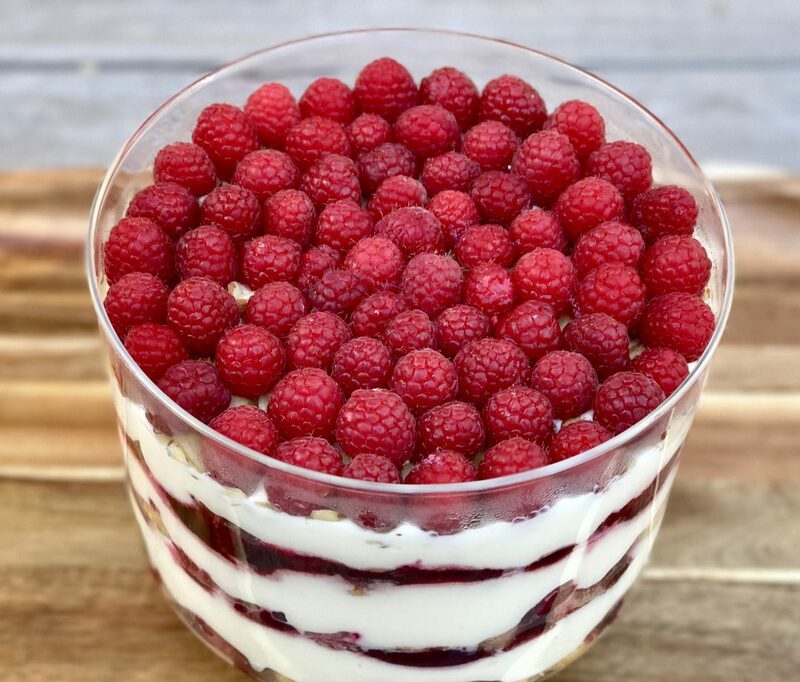 Top with 1 pint of raspberries. Spread 1/3 of white chocolate filling over the berries. Repeat layering with soaked ladyfingers, melted jam, berries, and white chocolate cream 2 more times. Step 9 Sprinkle the almonds evenly over the top layer of cream. Arrange the additional two pints of raspberries over the sliced almonds. Cover and chill for at least 4 hours. Gorgeous trifle! I am going to invite myself over on Memorial Day! Thank you Wendy and I would love that!